Free Will Baptists in America have a rich history. We appreciate your desire to learn about who we are and how God has used our movement. As you explore this site, you will find information about our past, in-depth studies about what we believe, and the impact Free Will Baptists have had on America and the world. Today, the National Association of Free Will Baptists is a fellowship of evangelical believers united in extending the witness of Christ and the building of His Church throughout the world. The rise of Free Will Baptists can be traced to the influence of Baptists of Arminian persuasion who settled in the colonies from England. Free Will Baptists sprang up on two fronts in Colonial America. The southern line, or Palmer movement, traces its beginnings to the year 1727 when Paul Palmer organized a church at Chowan, North Carolina. 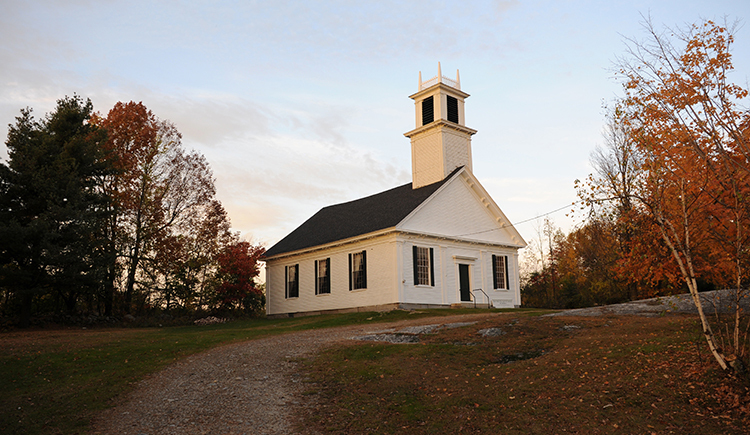 The northern line, or Randall movement, had its beginnings with a congregation organized by Benjamin Randall June 30, 1780, in New Durham, New Hampshire. Both lines of Free Will Baptists taught the doctrines of free grace, free salvation, and free will, although from the first there was no organizational connection between them. The northern line expanded more rapidly in the beginning and extended its outreach into the West and Southwest. In 1910-1911 this body of Free Will Baptists merged with the Northern Baptist denomination, taking along the great majority of its 1,100 churches and all denominational property, including several major colleges. In 1916, a broad Cooperative General Association was formed at Pattonsburg, Missouri. The new association included delegates from the Randallite churches that had resisted the merger, while others owed their origins to the Palmer movement. Free Will Baptists in the southeastern United States, having descended from the Palmer foundation, often manifested fraternal relationships with Free Will Baptists of the Randall movement in the north and west, but the slavery question and the Civil War prevented formal union between them. The churches in the southern line were organized into various associations and conferences from the beginning and finally organized into a General Conference by 1921. These congregations were unaffected by the merger of the northern movement with the Northern Baptists. It was inevitable that a fusion between the Cooperative General Association and the General Conference of Free Will Baptists would finally come. In Nashville, Tennessee, on November 5, 1935, representatives from the two bodies met and organized the National Association of Free Will Baptists. The new body adopted a Treatise, which set forth basic doctrines and described the faith and practice that had characterized Free Will Baptists through the years. After being revised on several occasions, this document continues to serve as a guideline for a denominational fellowship comprising more than 2,400 churches in 42 states and 14 foreign countries. Download the Free Will Baptist Treatise.